In 2018, SEAMEO QITEP in Language (the Centre) has successfully developed modules for three language learning models, i.e. project-based, discovery and text-based learning models. As continous programme, this year, the Centre will produce video based language learning model. 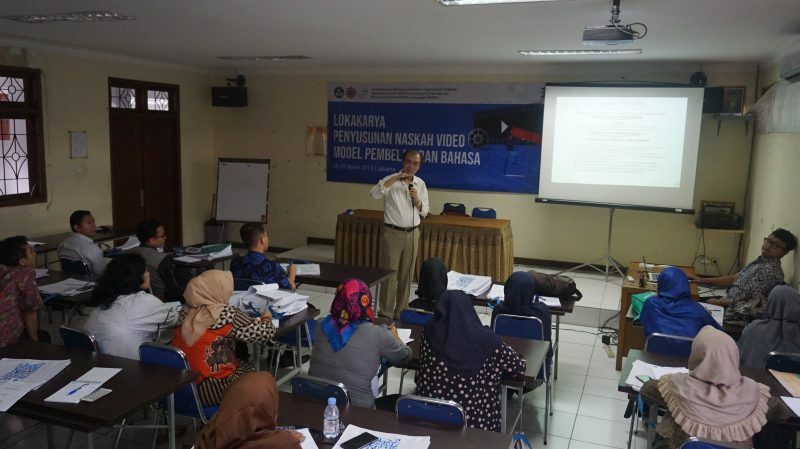 As a first step in producing the video based language learning model, the Centre organised Workshop on Video Script Development for Language Learning Models on 25-29 March 2019 in LPMP DKI Jakarta. 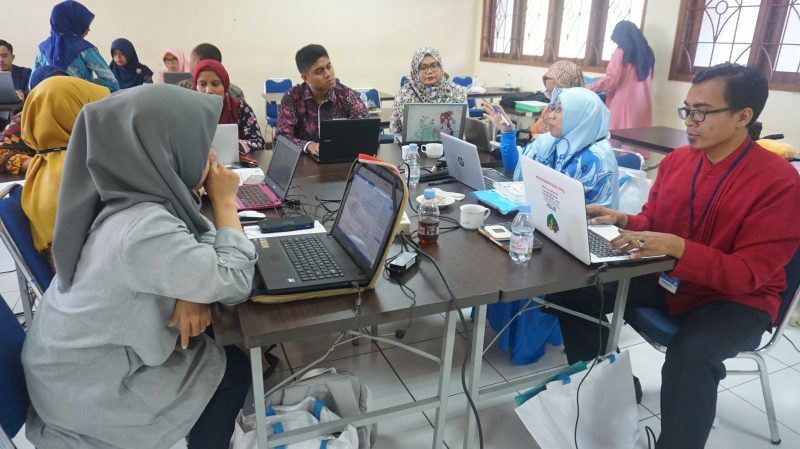 Twenty four language teachers from Greater Jakarta, West Kalimantan, West Sumatra, North Sumatra with various language backgrounds (Arabic, English, German, Indonesian and Japanese) of secondary school level as well as one Centre staff participated in the workshop. The workshop aimed to develop video script development for language learning models. Further, the workshop enabled the participants to design their own video script on their language specialties (Arabic, English, German, Japanese and Mandarin) based on project-based, discovery and text-based learning model. To achieve the aim, Dr Bambang Indriyanto (the Centre Director) and Ms Esra Nelvi M. Siagian (the Centre Deputy Director of Programme), Ms Hairun Nissa (Pusat Teknologi Informasi dan Komunikasi Pendidikan dan Kebudayaan, Kemendikbud, Tangerang Selatan), Ms Limala Ratni Sri Kharismawati, Ms Rizma Angga Puspita and Mr Reski Alam Gasalba (the Centre Staff) facilitated the participants throughout the workshop. 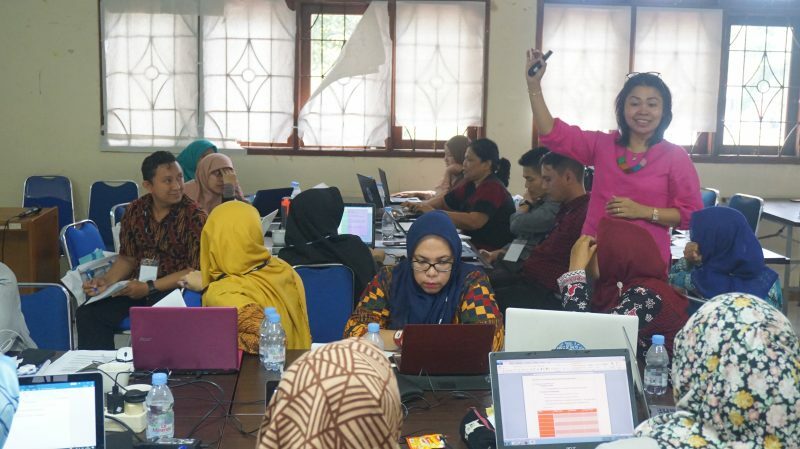 With their assistance, the participants comprehended the concept of project-based, discovery and text-based learning models as well as video script guidelines. The participants developed draft for learning video script for three language learning models (project-based, text-based and discovery learning) individually. Upon presenting the draft of learning video script, they received input as well as feedback from the resource persons and fellow participants. The resource persons, provided input and feedback for the revision in accordance with their expertise. These video script will be selected and produced into learning video for language learning models.